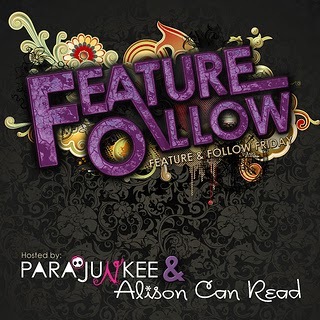 Feature and Follow is a weekly post hosted by Parajunkee and Alison Can Read. "The goal is to increase blog followers and make new friends." Hop around and follow others who are participating, leaving a comment to let them know. Answer this week's question in your own blog post. Q: Change the plot. If you could, what book would you change the ending or a plot thread? This was a very, very tough one for me because in general, I wouldn't want to change many books I've read over the years . The books that I haven't cared for . . . well, normally I'd want to change it all. So . . . after much thought, I'm selecting a book I read many, many moons ago and it's what turned me against Danielle Steel. I hated, hated, hated Lightning for the ending. The book itself wasn't bad - - your typical Danielle Steel novel in which the heroine is incredibly beautiful but humble, smart and must have a man. Okay, fine. Sometimes that's just what you want to read. In this particular book the heroine is a smart and beautiful lawyer who finds out during a routine medical exam she has cancer. Her husband, stellar guy that he is, decides he cannot possibly handle all this and leaves her. Yes, the jerk leaves her and promptly takes up with a bimbo girlfriend. So much for in sickness and in health. 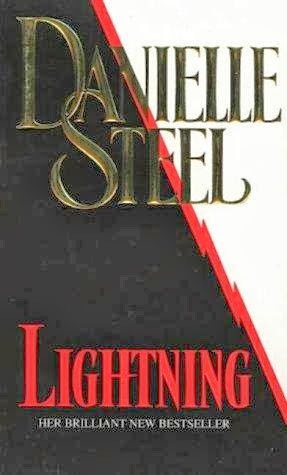 As any Steel heroine does, she is not defeated and goes about getting through her illness and raising their child and manages to find support and romance (it is Danielle Steel, after all) from a younger coworker whose sister suffered through cancer. Good, right? No, Ms. Steel has to go and screw it up by having our heroine make it through chemo, on the road to recovery and then giving her decent and caring coworker the boot and take her cheating, lying jerk of a husband back. Yes, that's really what she wrote. What kind of example does that set? Was that supposed to be romantic because it made me want to vomit. I hate to admit that not only did I throw this book across the room but I actually (don't hate me, readers) threw this book in the trash. That's how much I hated it. So I would change the ending to have the heroine make it through chemo for the better, tell her lying, cheating husband to take a flying leap and run off to a Caribbean island with her younger and much hotter coworker. Viola! I think I read that book years ago but I don't really remember it. Wow. What a horrible book! Glad you threw it out, can't blame you! Not a huge DS fan but I did read a few of her books when I was younger. It's horrible when a book disappoints you that much. New GFC follower. GASP! No she didn't?!? Go back to the man who dumped you like trash for a non-sick woman while you suffer and fight for your life?? I don't think so. I would've hated that too. I have not read this one, but uhhhhh... sounds like the worst ending ever. Hi there, following thru from Parajunkie's FF, and now following you via GFC. Ugh. that sounds awful! I hate when characters act out of ... character. I get that it's fiction, and they aren't necessarily meant to have a moral compass, but it would be nice if they did! I mean, who wants to emotionally invest themselves in a book like this only to end with a "what the heck is this person thinking?! she's out of her mind!"